The reception staff were amazing so helpful. Lovely apartments they have everything you need. Would definitely stay again. I liked the ambience, access to the beach and the pool. Pleasant room, great views, well equipped kitchen, large bathroom. Peace and quiet in attractive garden area and by the pool. 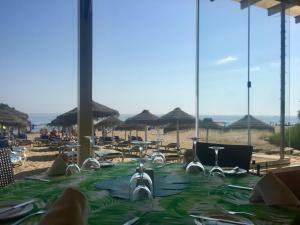 Good location, easy to find and yet well away from main A7 route. Helpful friendly staff. Easy availability of food/snacks/drinks in Roberto's if wanted. Off-season quiet but all facilities provided. Everything clean & gardens and pool well looked after. The staff is really nice and helpful. The rooms are well maintained, clean and very wide. We really enjoyed the place and would choose it again. Also the location was very convinient (BY CAR). Quite area with accesible roads very near to the highway. Liked the size of the appartments and how friendly all the staff were. The staff were friendly at reception, the rooms were large and clean. 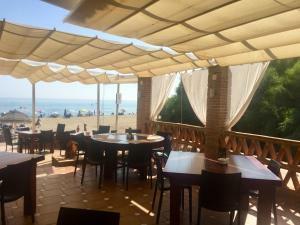 very good location near to shops and bus service just at the top of the road to get to Marbella & la cala. 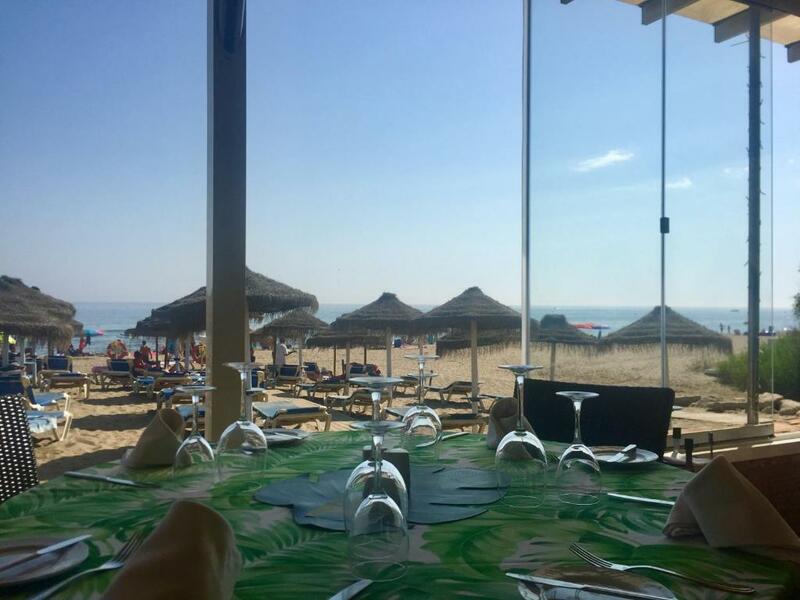 Brilliant location, right next to beach with good choice of restaurants close by. Might be too quiet if you like it busy, but perfect for relaxing idyllic break. The front desk Mohammed was very helpful and very knowledgeable. He made our stay very enjoyable! One of our best sellers in Marbella! 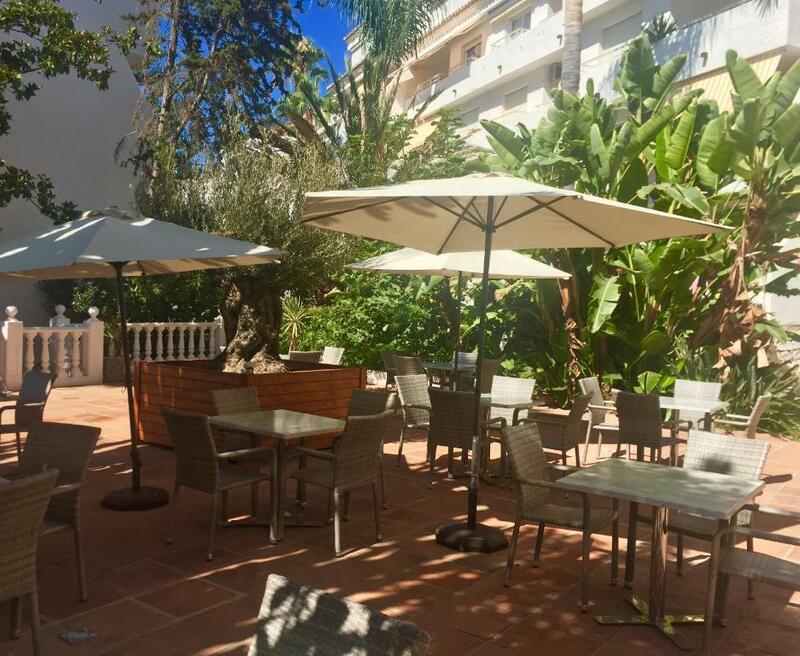 Set on the beachfront, in a residential area 7.5 mi from central Marbella, Playa Real features a lush garden and outdoor pool. The famous Puerto Banus is a 20-minute drive away. The apartments have air conditioning in certain areas and a flat-screen TV. The living-dining room opens onto a balcony. The kitchen is equipped with an oven and kitchenware. A washing machine is also available. The double bedroom has a wardrobe and the private bathroom comes with a shower. Bed linen and towels are provided. Guests can access the indoor pool, hot tub, sauna and gym free of charge. 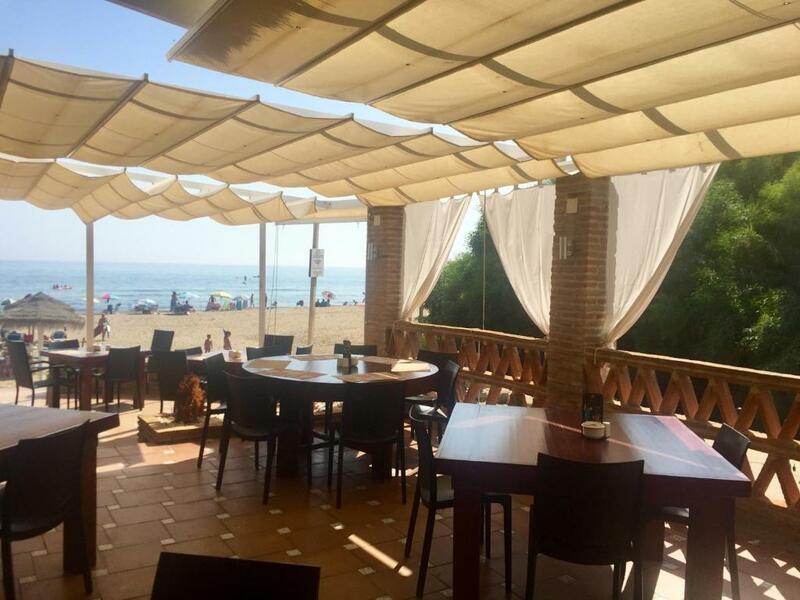 Playa Real also offers weekly evening entertainment including Flamenco and Karaoke. 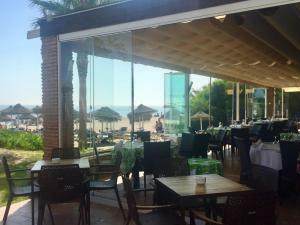 Free WiFi is available in the on-site Le Papillon restaurant, and throughout the resort for an extra charge. Playa Real is 1 mi from Cabopino Golf Club and 4.7 mi from Rio Real Golf club. Marbella's city center is a 15-minute drive away. The property offers free parking. Málaga Airport is 28 mi from the property. 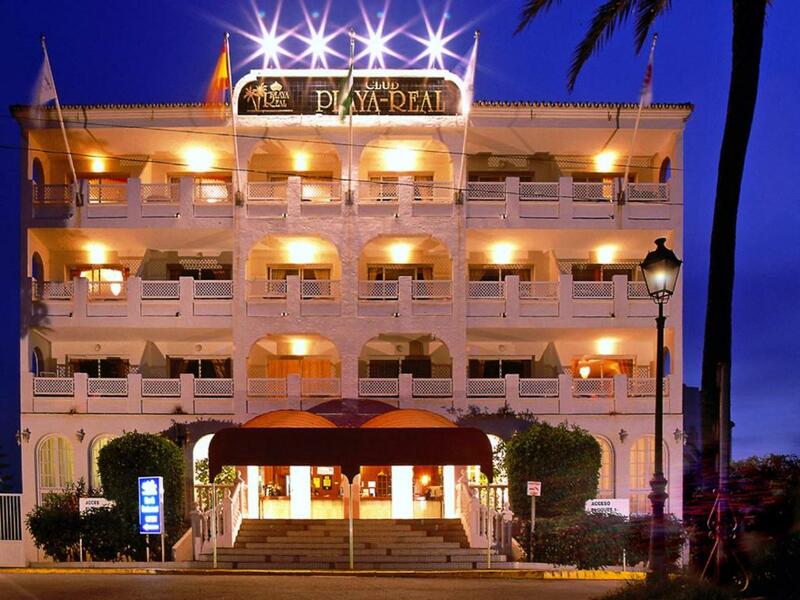 When would you like to stay at Playa Real? This air-conditioned apartment features a flat-screen TV. The kitchen is equipped with an oven and kitchenware. A washing machine is also available. The double bedroom has a wardrobe and a private bathroom. Bed linen and towels are provided. This spacious apartment has a lounge and dining area, as well as a private terrace.The kitchen is fully equipped with an oven, microwave and washing machine.The main bedroom features an private bathroom and the other bedroom has 2 single beds. This air-conditioned apartment features a flat-screen TV and comfortable lounge area with a sofa bed. The kitchen is equipped with an oven and microwave. A washing machine is also available. The double bedroom has a wardrobe and a private bathroom. Bed linen and towels are provided. 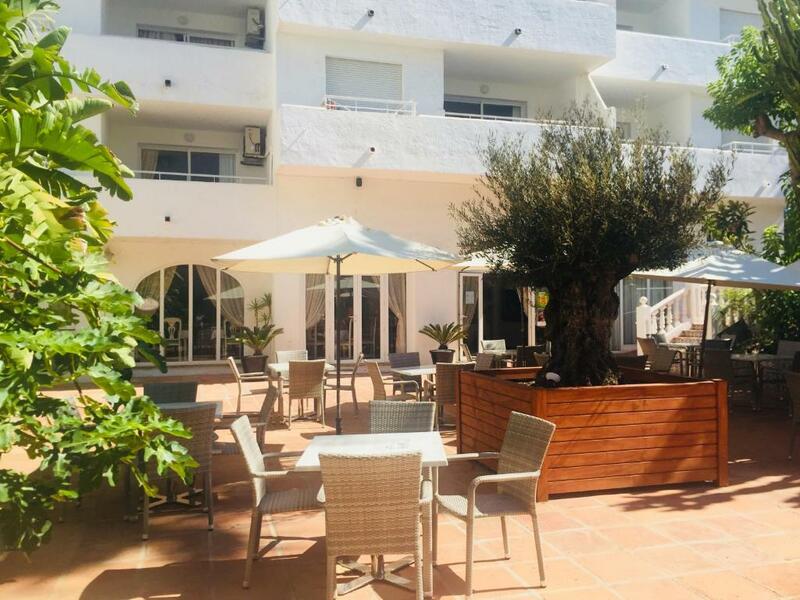 This spacious apartment has a lounge and dining area with a sofa bed and a private terrace.The kitchen is fully equipped with an oven, microwave and washing machine.The main bedroom features an private bathroom and the other bedroom has 2 single beds. This spacious penthouse apartment offers wonderful terraces with sea views. The kitchen is fully equipped with a dishwasher, washing machine and full kitchen. House Rules Playa Real takes special requests – add in the next step! Playa Real accepts these cards and reserves the right to temporarily hold an amount prior to arrival. 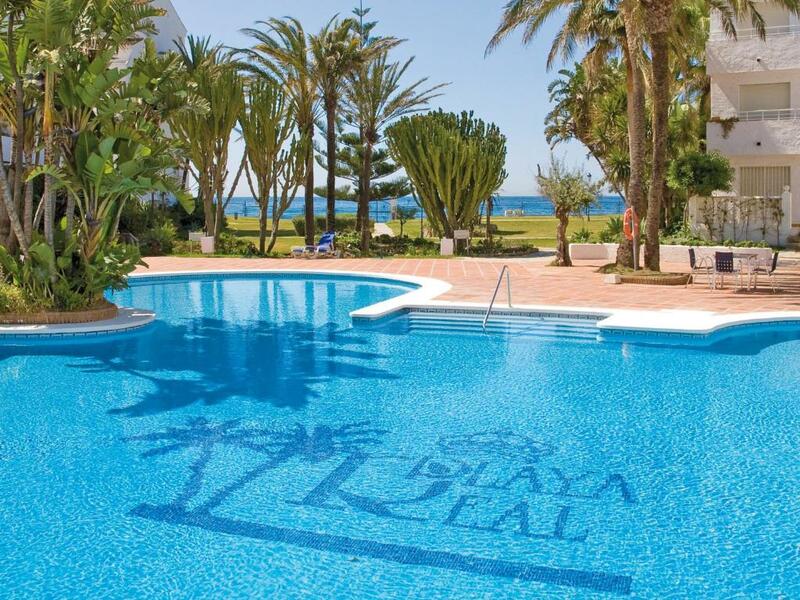 Club Playa Real, avenida Cuesta Correa s/n, Urb Marbesa, Ctra de Cadiz km 193, 29604, Marbella. WiFi is available free of charge in the bar area, and is available for a supplement in the apartments. Please note that additional beds can not be added in any of the apartments. A cot is available upon request for a surcharge of EUR 3 per night. If your booking has breakfast included, please note that the restaurant is open for breakfast from 9:00 to 11:00, except on Fridays when a breakfast pack will be provided. Please note that this property is family-friendly and therefore it is not permitted to make loud noise or cause disruption. A damage deposit of EUR 120 is required on arrival. That's about 134.92USD. This will be collected by credit card. You should be reimbursed on check-out. Please inform Playa Real of your expected arrival time in advance. You can use the Special Requests box when booking, or contact the property directly using the contact details in your confirmation. Fitness suite something of a disappointment, old and damaged machines & no accompanying instructions. Swim hat stipulation for indoor pool & jacuzzi. Noise from apartment next door clearly audible day and night. Lack of easy access to the beach. Flat was basic and quite old fashioned. However, it would have been ok if the bed wouldn't have had such an absolutely dreadful mattress that made sleeping very difficult and gave me back pain. Hard beds and no English tv. We didn't like that there was no air conditioning in the bedrooms. We were tricked into a "free breakfast" where they tried to sell us "membership" to a time share scheme. The older English man was rude and condescending. Demanded to know how much was available on our credit cards. ruined the entire experience. This is not a hotel!! It is a time share scam!! Stay away!! Could have done with better beds - bit of a small double bed and not the most comfy of mattresses, bit hard. Also would have liked a bit more sun on the balcony - it was always shaded from above.